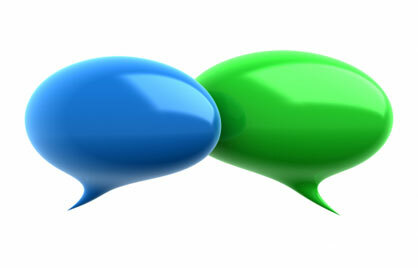 With the fast-growing technology, we are surrounded by gadgets such as Android phone, iPhone, laptop, etc. When we use a phone, we store a lot of data on it such as Pictures, Videos, documents, Audios, etc. Our phone is always with us, and thus, all these data are accessible to us anytime. But, what would happen if your phone is crashed or something bad happened, and you lost all of your data? You must be very sad and feel helpless because every one of us captures a lot of good moments of our life through our phone’s camera, and they are stored in the phone. Same way, we store important files and videos as well. 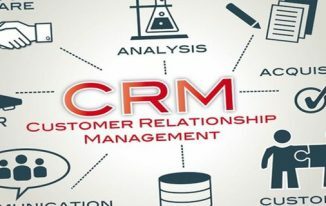 As I said, the technology is growing at a rapid rate so you will always find a solution for technical issues, and so is for data loss problem. Yes, there are many data recovery software available both for Windows and Mac that you can use to recover lost data of your phone or other gadgets. You can check out top 5 data recovery tools for Mac OS X if you want a few different options. 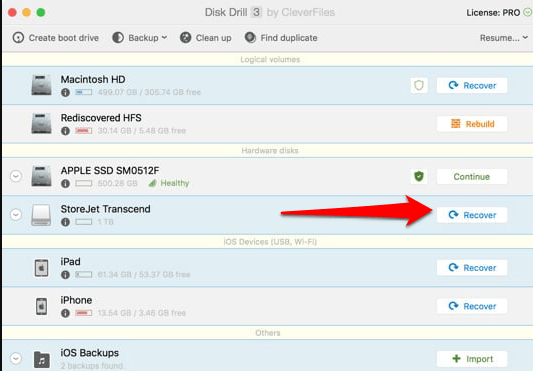 However, in this article, I will talk about Disk Drill for Mac OS X by CleverFiles. Disk Drill is one of the best data recovery software for mac that not only recovers the lost file but protects them as well. It can recover data from any storage device such as memory cards, internal/external hard disk drives, Pen Drives, Digital Cameras, iPods, etc. If you have a phone and lost all the data, you can recover all the data using Disk Drill just by plugging your phone into your Mac system, and then just a few steps. And, your data is recovered. 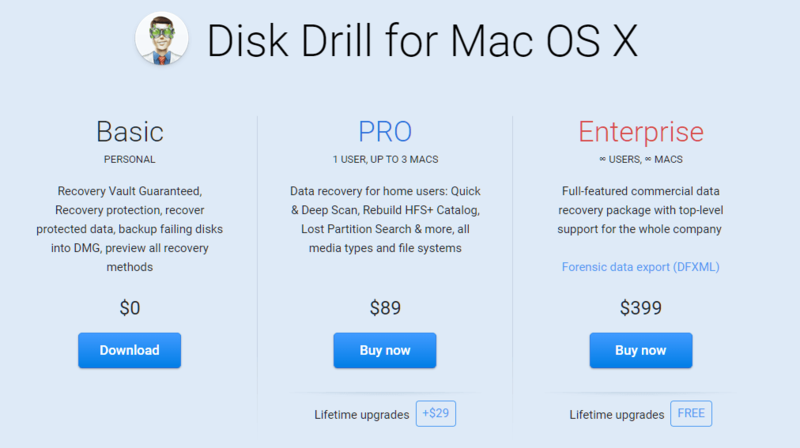 Disk Drill is probably the best data recovery tool for Mac. You can recover data from memory cards, hard disks, iPods, cameras, pen drives etc. Disk Drill can scan and recover data from FAT, NTFS, exFAT, EXT2/3/4 and HFS+ formatted drives. All the data can be filtered by date or their size. While scanning for recovering the data, it can be paused and resumed at any point. Quick and Deep scans are available. You can use any of them as per your requirement. It stores recovered data in DMG format which you can restore later to the original location of the files/folders. How to recover files using Disk Drill on Mac OS X? 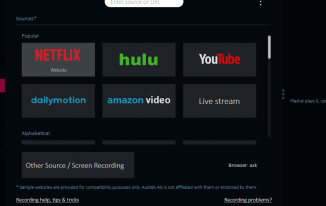 Install Disk Drill from its official site on your Mac computer, and install the software. Step 2: Connect the device to recover files. Now, connect the device which data is lost, and you want to recover. For example, you have connected an external HDD. It’s time to launch the Disk Drill tool. Once its UI is opened, you will see the available drives to recover. Select the external one what you have connected to your Mac. Now, you will see the list of deleted or lost files of that external drive which you are recovering. You have to select the files and folders that you want to recover. Once selected, click on Recover at top right corner, and all the selected files will be recovered that you can restore to your Mac. However, if the steps mentioned are not clear to you then you can watch below video to understand everything even more clearly. If you are using for personal use, and don’t need advanced features, you won’t need to pay because the basic plan is free. If you need advanced features, you should look at their PRO and ENTERPRISE plans. PRO plan is worth $89, and the tool can be used on 3 Mac computers. If you pay $29 extra, you get lifetime free upgrades from the company. Enterprise plan is worth $399, and if you get this one, you can use the tool on unlimited computers, and the upgrades are free forever. PRO plan is well enough unless you are running a big commercial business. Disk Drill data recovery for Mac OS X is a great data recovery software that you must use if you need a data recovery tool because the most important thing is that the basic plan is free, so you can try that out and see how efficient this tool is, and then if you like it, you can go for premium plans. As you know data is important for us whether they are personal or professional. Thus, a good data recovery solution is indeed needed to make sure you don’t lose anything. Disk Drill seems very promising, and you must not think twice to try it out. Hi Atish, Season’s Greetings to you all from Philipscom. Thanks for sharing this informative information about Disk Drill, looks like a wonderful data discovery software. Will surely try the free version now.